Seatronics' range and expertise provided the company with a single source solution for all its equipment requirements for the project. This ease of service, combined with Seatronics ability to deliver the required range of equipment quickly, fully integrated ahead of delivery, has strengthened the long-standing relationship between Seatronics and their client. 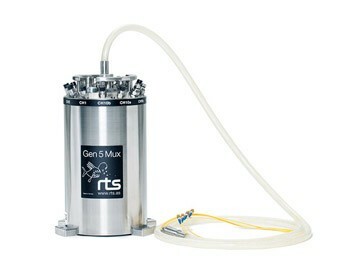 The equipment sale was completed by Houston-based Seatronics Inc and included ROV Survey sensors, which were interfaced to Seatronics exclusive RTS Gen5 MUX ROV multiplexer. All the equipment was connected with Seatronics in house manufactured neoprene cables and the engineered solution was mobilised, system tested and delivered within two weeks to fully comply with the project schedule. Janelle Totah, Vice President, Seatronics Inc. said: "We are delighted to have been able to support our client with this order. "This award demonstrates Seatronics continued commitment to supporting clients with their Brazilian operations while the supply of this considerable spread displays our ability to combine industry leading products, cables, and engineering services to deliver top quality solutions for our clients, all from a single source."